style is style: My Oh My. 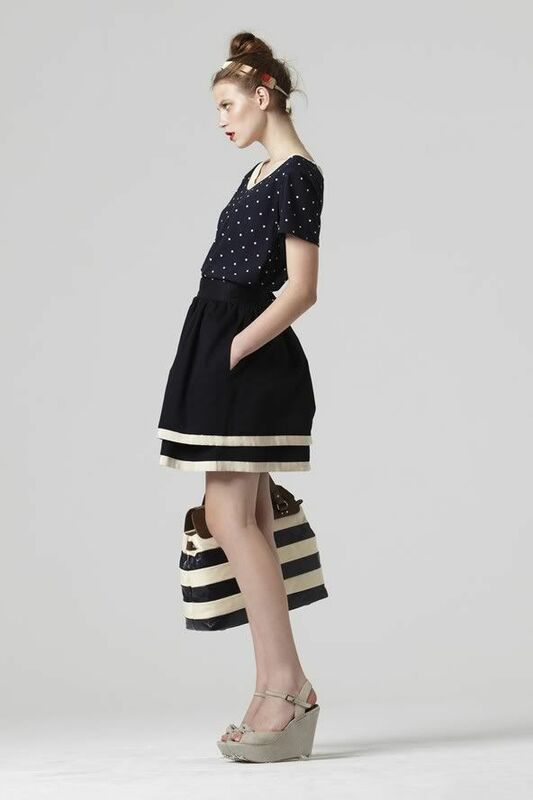 Orla Kiely may very well be my new obssession. I've been consistently inspired by all of thier peices I have come across on the internet, and yet I haven't posted about them until today. The brand encapsulates that early 60's, late 50's, prim and proper whimsy that I hold so dear. Girly and sweet, but never crossing the line into twee, how could you not fall in love? The Spring/Summer 2011 really really does it for me! It probably helps that Leith Clark (she of Lula editorial fame) does the styling for the brand. I adore her personal style, and I really love the styling in the presentation of the collection! I had to restrain myself from posting the entire thing! Lucious red lips, delightful wedges, messy updos paired with some of the most amazing dresses and skirts I've seen...this one plays out like dream. Especially because there are so many peter pan collars! Oh my gosh, I wish she would do a Target line... LOVE this. Thanks for the inspiration. 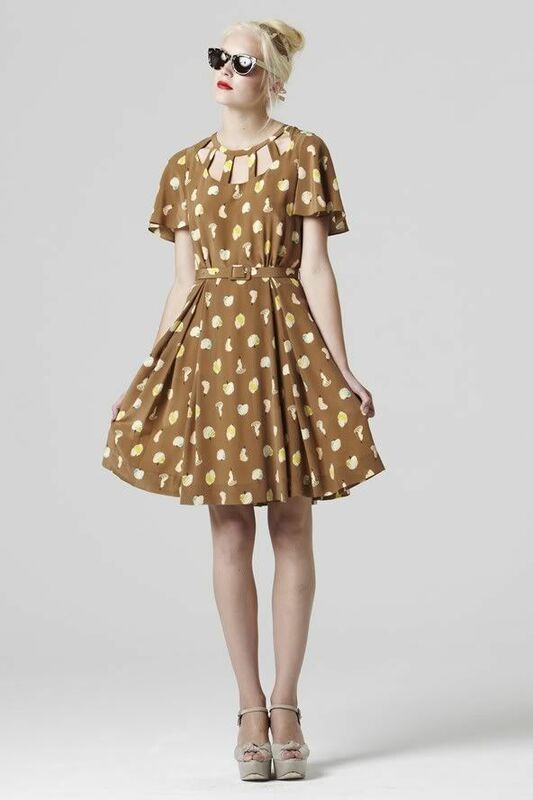 Agreed, I've decided that I think Orla Kiely is God. SHE IS AMAZING and there is not one piece that I dislike. Seeing her looks make me want to go shop for every identical piece that I can find to recreate these glorious 60s looks. She really should do a Target line. I've just discovered this brand via Carrie from WishwishWish...and I love it !